The fintech ecosystem in Germany and Austria has grown rapidly in the past years. German fintech startups attracted EUR 307 million of venture capital funds in 1H’2017, surpassing the total amount raised for the whole year 2016 with EUR 400 million, according to EY’s Germany Fintech Landscape report. Statista estimates the transaction value in the German fintech market to be worth about US$131.3 billion, rising at an annual growth rate of 8.9% to reach US$184.3 billion in 2022. Meanwhile, transaction value in the Austrian fintech market is estimated at about US$13.5 billion. Transaction value is expected to show an annual growth rate of 11.2%, resulting in a total amount of US$20.7 billion in 2022. With the surge of fintech in Germany and Austria, an increasing number of events and conferences are being organized in the two countries to showcase the local startup scene. 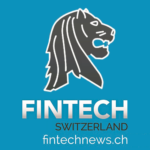 This year’s EXECfintech conference is the fifth edition of the European event covering technology and innovation and the financial services industry. On stage, participants will hear stories about practical experiences that companies and startups had and have with cutting-edge technology. Off stage, they will be able to experience masterclasses and discussion table sessions for deep dive into specific topics. Speakers representing companies and banks like Deutsche Bank, figo, Raisin, Revolut, and solarisBank, will cover topics such as digital banking, insurtech, bank and fintech cooperation, digital identity, and more. 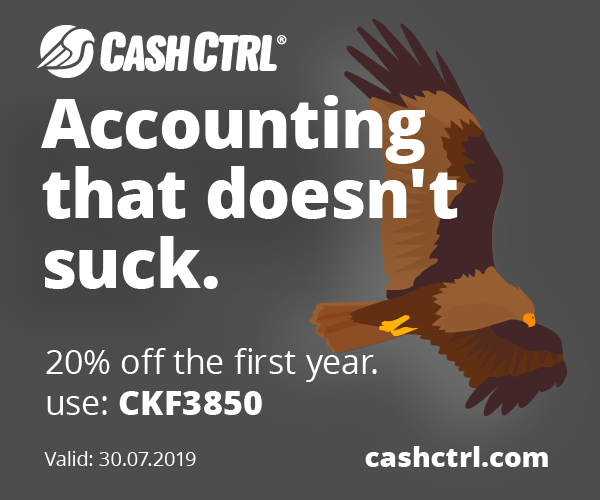 Register now and get 10% off with the code: CHFINTECH. 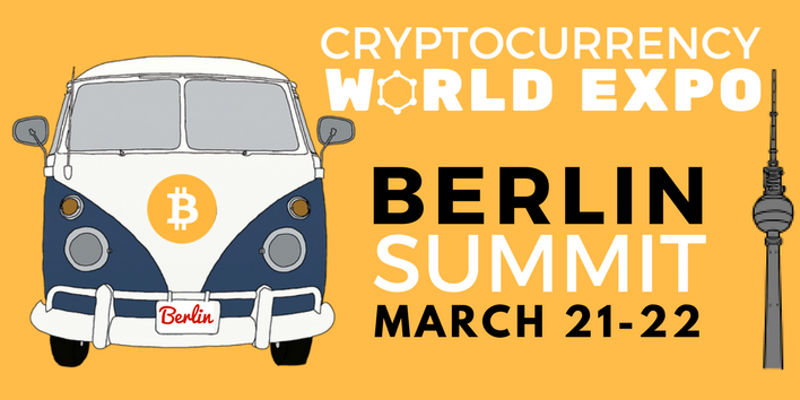 The Cryptocurrency World Expo – Berlin Summit is set to bring under the same roof the whole cryptocurrency sector starting from the biggest exchanges to brokers, payments providers, fintech startups, miners, traders, ICO participants, crypto enthusiasts, blockchain developers, entrepreneurs and experts in tax and legislations. The event is expected to attract over 1,600 delegates, 60 companies and institutions, and more than 45 speakers in the three-floor facility. Topics covered will include cryptocurrency trading, tax and regulation, token sales, and more. The Crypto42 Token Investment Summit 2018 is a networking event focused on the trading, valuing, accounting, auditing and tax issues around the new asset class of crypto-assets. Attendees will gain insights and information about the state of the token economy while networking with senior level thought leaders. The event promises to bring together international business professionals from blockchain based enterprises including CEOs, auditors, accountants, venture capitalists, investors, regulators, attorneys and developers to network and collaborate. The conference will cover and discuss topics that include the state of the token market, token regulation in Europe, including Switzerland, Germany, Austria, Gibraltar, Luxembourg and the EU, best practices in compliance, KYC/AML for Austrian crypto brokers, and more. 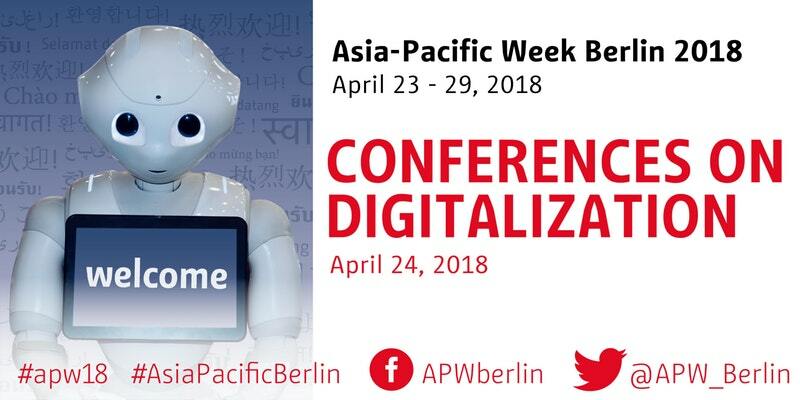 Fintech Summit AsiaBerlin, part of the Asia-Pacific Week Berlin, will focus on the German fintech startups scene and what the sector can learn from its Asian counterparts. The event will also cover open infrastructure and ecosystems and customer experience and engagement, which will be covered by Ignite Speeches as well as panel discussions for each topic. The panels will feature a wide array of experts on fintech from Europe to Asia including executives representing companies and organizations such as NexChange, Hong Kong Fintech Week, Fintech Association of Hong Kong, Fintech China, Fintech4Good and W Hub. The 7th Annual Digital Banking & Mobile Payments Summit has been designed to provide participants with a unique opportunity to gain new insights into areas such as the new generation of mobile wallets, upcoming regulatory challenges in payment services such as PSD2, partnership with fintechs, digital customer experience and engagement, open banking, or the security and authentication in mobile banking. Participants will access first-hand learnings from the senior-level experts representing the most influential banks on the market including Commerzbank, Danske Bank, Nordea, Atom Bank, among others. This year’s program will feature top executives and experts from financial institutions and companies such as Commerzbank, Allianz, UBS, Deutsche Bank, Accenture, IBM, but also the European Parliament, and the Smart Dubai Government. Topics covered will include taking blockchain to the mainstream, delivering real cost savings and efficiency gains with blockchain, innovating with blockchain in the financial sector, and more. BlockShow, by CoinTelegraph, is a conference focusing on blockchain technology and the cryptocurrency space. The BlockShow Europe 2018 edition is expected to bring together the global community with an estimated 3,000 attendees and 80 speakers from 50 countries. Confirmed speakers include executives representing companies such as Deloitte, UBS, Fenbushi Capital, and more. The event will cover the latest trends in the blockchain space including governmental blockchain initiatives within the EU, the emergence of crypto-assets, blockchain investments, and more, and will demonstrate multiple new cases for implementation and enhancement of blockchain technology. Save 30% off from your ticket purchase with the code: 30FINTECHNEWS. 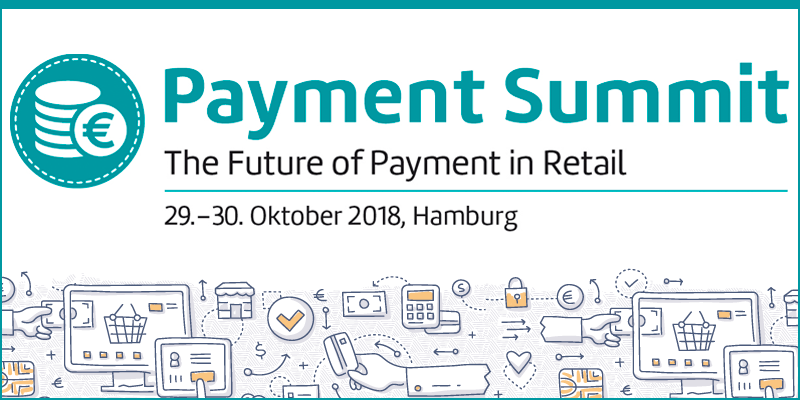 The Payment Summit is one of the leading payment business event for retailers and the financial sector. 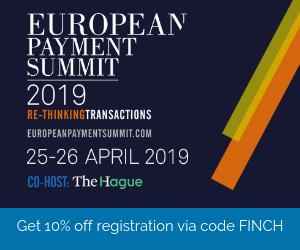 This year, the conference will focus on the many developments in the fintech sector, including mobile payments, real-time payments, bitcoin services, the Alipay ecosystem, and the PSD2 directive. Online-Identifikation in Deutschland: Wer hat’s erfunden?